This little pamphlet made a welcome appearance in our post-tray today. The Town Major of Miraucourt is a short story by J.B. Priestley, reprinted by Turnpike Books, and on sale from 1 December 2017. Nicely timed for Christmas present-giving! The pamphlet is now part of the J.B. Priestley book collection at the University of Bradford, where it and copies of all the other titles mentioned in this piece are preserved and made available to the public. I’d like to reflect a little on The Town Major of Miraucourt and its unique place in Priestley’s immense output. It is the only fictional work based on the author’s experiences during the First World War. Why was this Priestley’s only fictional account of the War? Surely the five years Priestley spent in the Army were rich in potential incidents and characters and ideas for a novelist or playwright to explore? Yes, but he decided not to pursue this approach. As he later explained in his memoir Margin Released, first of all, he wanted to forget about the War and get on with the life so shockingly interrupted. Then he came to realise that as a writer he was not drawn to war: it did not inspire him. He found it impossible to reconcile the two faces of war, the grotesque mixture of murderous slaughter with the “slapstick, so much gigantically solemn, dressed-up, bemedalled custard pie work” of Army life. Yet he did (I think) manage to reconcile these elements in ‘Carry On, Carry On’, the unforgettable middle section of Margin Released. Priestley tore into the folly and ignorance that sent his generation to its mechanised death, while documenting the fun, silliness, quirks and everyday humanity going on at the same time. In Town Major, written over thirty years before Margin Released, Priestley also captured the humour and reflected on the meaning and implications of war. The story is set in 1918, beginning with a barely fictionalised account of Priestley’s life at that time. He, like his surviving contemporaries, had been through so much by then: trench warfare, serious injury, brutal training camps, the loss of his friends and comrades. In 1918 Priestley had returned briefly to the Front, been gassed, rated B2 by the medical board (fit but not fully fit), and sent to work with the Labour Corps depot. His protagonist has the same experiences, which then however take a weird turn. En route to Rouen, he finds himself in Miraucourt, a mysterious French village seemingly untouched by war. There he meets a group of soldiers who echo Shakespeare’s own larger-than-life creations: are they Falstaff and his company …? This evocative story has been relatively inaccessible until now. It was first published in the London Mercury of October 1929 and reprinted as a limited edition in vellum with slipcase by Heinemann in 1930. Its only later appearance in full was in the compilation Four-in-Hand (Heinemann, 1934), although parts were included in Priestley’s Wars (Great Northern, 2008). So the reprint is most welcome and will (we hope) bring this glimpse of Priestley’s war to new audiences almost 100 years on. Some reflections on the life of a good friend of ours, John Waddington-Feather, who died on 28 April. His funeral is being held in Shropshire this afternoon (18 May). ‘I remember being pushed in the direction of an elderly farmer above Haworth – a real old Joseph – and his door opened about an inch. His gnarled face peered out and he eyed me suspiciously a while before asking, “Are ta frae t’tax?’ (Fees, 1991). Intelligence Corps winning tug-o’-war team at the Intelligence Corps depot, Maresfield Camp, in Sussex, July 1956. John Waddington-Feather is second from left on the front row. Copyright holder unknown. John’s ‘post-graduate education’ included three months as a ward orderly at a tuberculosis sanatorium near Ilkley and national service in the Intelligence Corps and as a paratrooper. ‘I needed compassion and a good stomach in the one; and in the other low cunning and native guile!’. An enthusiastic sportsman, John played rugby union for Crowborough and Sussex. After national service, John studied medicine for a year, but failed Chemistry, which put an end to his medical career. He decided to use his English degree as a teacher on HMS Worcester, where he met his future wife. They moved to Yorkshire where John took up a post at Salt Grammar School, and three daughters were born. However, Special Collections knew John best as an author and as a J.B. Priestley enthusiast, Chairman Emeritus and Vice-President of the J.B. Priestley Society. Like JB, John was a prolific and fluent writer, and experimented with many genres: scholarly articles, poetry, verse plays, history plays, children’s books, detective stories, historical romance and more. Following the removal of his one, cancerous, kidney in 2001, John had to spend many hours a week on dialysis. Writing was, as he said, a lifeline for him during these difficult times. He used writing as a lifeline for others, for instance, encouraging prisoners to reflect and improve literacy via Poetry Church magazine, which he founded in 1997. John’s works are characterised by his concern for others, his faith, and the inspiration he continued to draw from his Yorkshire childhood and his wide experience of life. Witness the Quill the Hedgehog series, for children (and grown-ups). Quill and his friends fight to save their world from the destructive evil of Mungo the alleycat and his armies of rats, a parallel to the fate of the West Riding’s countryside during the Industrial Revolution. 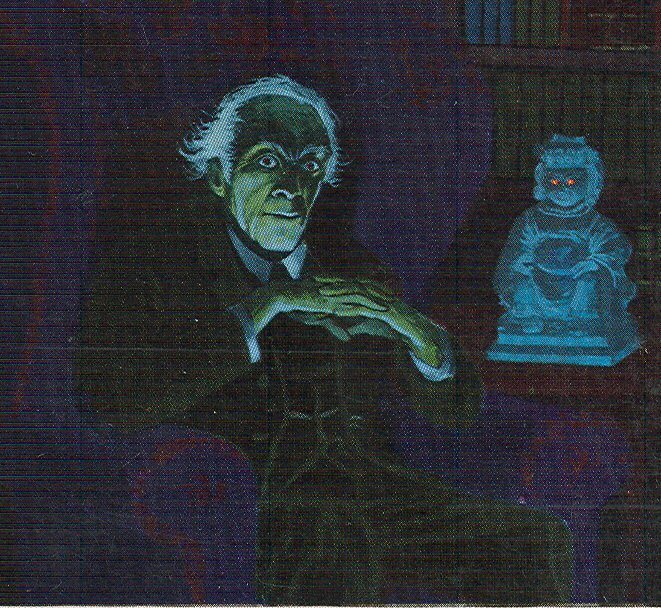 Quill’s Adventures in Grozzieland was nominated for the Carnegie medal in 1989. John was early to see the value of online platforms to authors and publishers, creating ‘waddysweb’ to publicise his imprint Feather Books. More recently he found the Kindle format attracted many purchasers of his Blake Hartley mysteries, (3000+ sales per month). The mysteries are classic light detective fiction, featuring Inspector Hartley and Sergeant Khan, up against sleaze, crime and red herrings in ‘Keighworth’. To sum up, it was a privilege to know and work with John. We are proud to be the home of his archive and book collection, which will ensure his works are remembered and enjoyed for years to come. Fees, Craig (1991). The imperilled inheritance : dialect & folklife studies at the University of Leeds 1946-1962 Part 1, Harold Orton and the English Dialect Survey. Folklore Society Library. In Special Collections, or online on the author’s website. Quotations are taken from two essays by John, Autobiography (2009) and Post-graduate education (2012), sent in digital pre-publication form. Waddington-Feather books and archive collections in Special Collections. 100 Objects exhibition article on the story behind Quill Hedgehog. Obituary in the Keighley News, by Ian Dewhirst. J.B. Priestley was a superlative and prolific essay writer. Getting started as a professional author after the First World War, he produced hundreds of pieces for newspapers and periodicals. These were often in a belles-lettristic style which was even then falling out of fashion: “personal in tone but elaborately composed”, whimsical, mannered, self-deprecating. But the demands and restrictions of such writing helped Priestley learn his craft. Gradually he found his natural voice, a style which appears personal, even chatty, but which is really carefully thought out and precise. By the end of the 1920s, as Susan Cooper observed, Priestley was “writing as well in [essay] form as any man alive and a great many dead”. His journalism, his broadcasts, and much of his non-fiction – in fact, many of his finest works – have the same mix of precision and personality as his essays. Priestley wrote in essay form to share what delighted him; to reflect on society, culture and politics; to publicise his opinions – and sometimes to have a good grumble. It is therefore a joy to report that a new collection of Priestley’s essays is about to appear in print, under the excellent title, Grumbling at Large. The volume should be a Delight to own and to read, as its publisher, Notting Hill Editions, specialises in essays and pays great attention to design, typography etc. I love their typographic covers! But how to condense a lifetime of miniature gems into one slim volume? The editor, Valerie Grove, has had a difficult task. I’ll be keen to see if my favourites (“Gin and Tonic” and “Quietly Malicious Chairmanship“) have made it in! Quotations from Margin Released and J.B. Priestley: portrait of an author. How did the First World War affect Bradford people? What was life like for people living in Bradford during the First World War? How did they cope with the challenges of “long working hours, restricted opportunities for recreation and relaxation, … darkened streets, the increased cost of living and the rigid economy“*? 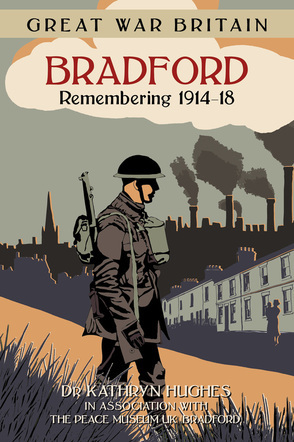 In her new book, Bradford: remembering 1914-1918, published today, local researcher Kathryn Hughes discusses these questions in the light of new discoveries in Bradford archives. I am very much looking forward to reading it! *Bradford Sanitary Association Annual Report 1915, quoted by Dr Hughes on the Bradford WW1 website. Why did Napoleon gamble all for victory? Dr Munro Price, of Peace Studies at the University of Bradford, has published a book which explores the downfall of Napoleon. 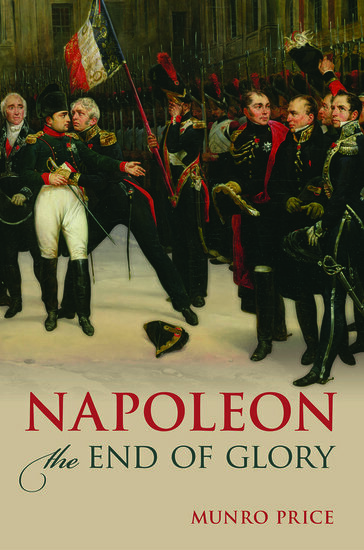 Napoleon: the end of glory. Oxford University Press, 2014. Using a remarkable range of under-explored European archive sources, Dr Price shows us how and why Napoleon failed to compromise with his enemies in the period immediately before his first exile. Contrary to popular belief, Waterloo was just a postscript to a career that had already failed. I won’t summarise all Dr Price’s arguments: you need to read the book for those & it well repays a read. Special Collections will be closed for the Easter Break from Friday 29 March-Tuesday 2 April inclusive. We’re thrilled that J.B. Priestley features at the Bradford Eastercon on the Saturday. 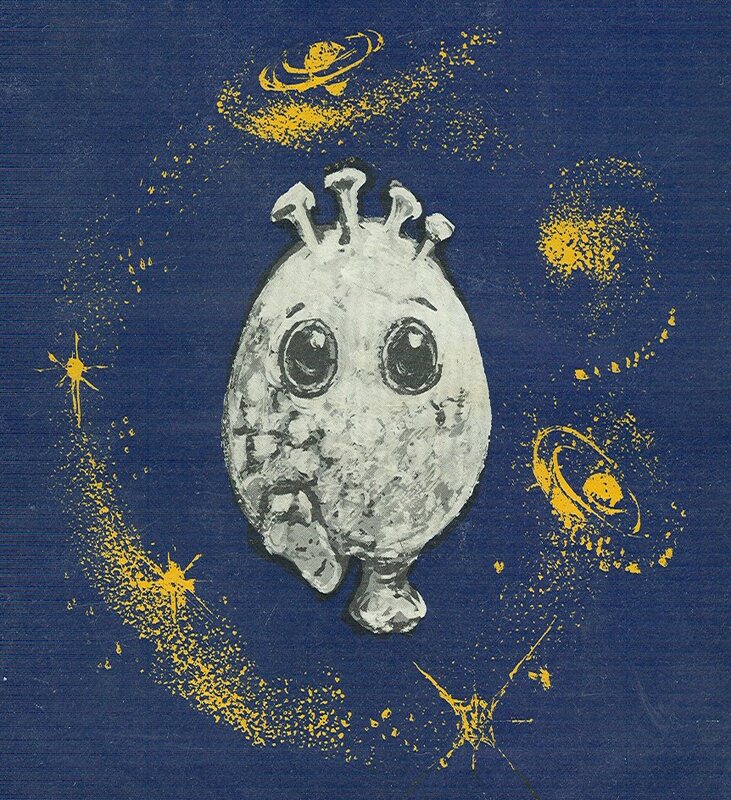 In honour of which, here is a detail from the wonderful dustjacket of Priestley’s uncorrected proof copy of Of Time and Stars: the worlds of Arthur C. Clarke (for which Priestley wrote the introduction). Our reproduction doesn’t do justice to the amazingly purple, pink, orange and yellow original, which also (I think) introduces Clarke’s stories very well as does JBP’s typically quirky and personal introduction. Whether you’re going to Eastercon or not, we wish you a very happy Easter! J.B. Priestley was fascinated by the possibilities of time, space, dreams and the fantastic or weird. 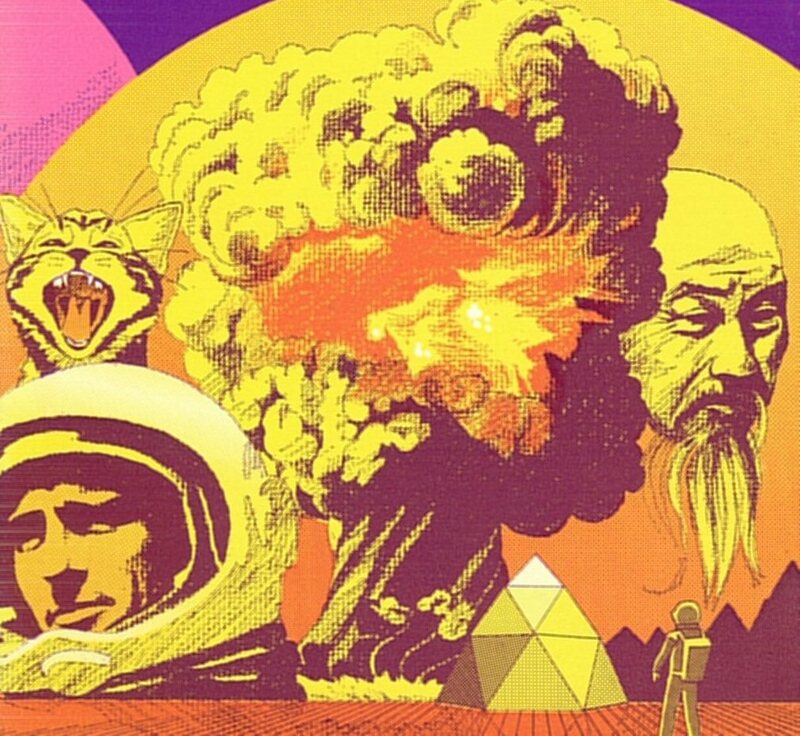 Alongside the famous time plays, he used these ideas in TV scripts, essays, short stories and novels, ranging from Snoggle, a charming tale of a friendly alien, to the terrifying nuclear war scenario of Level 7. This spring, a convention and a publisher celebrate Priestley’s speculative fiction. 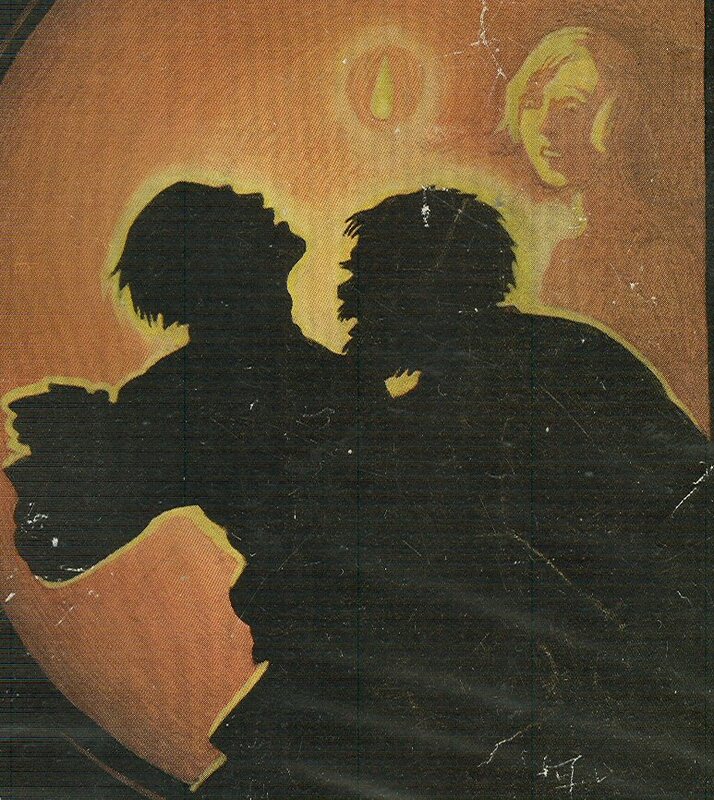 Valancourt Books are issuing two classics of the weird by Priestley: Benighted, the tale of travellers benighted at an “old dark house”, which became a horror classic in its film form, and The Other Place, disquieting short stories, including “The Grey Ones” and “Uncle Phil on TV”.